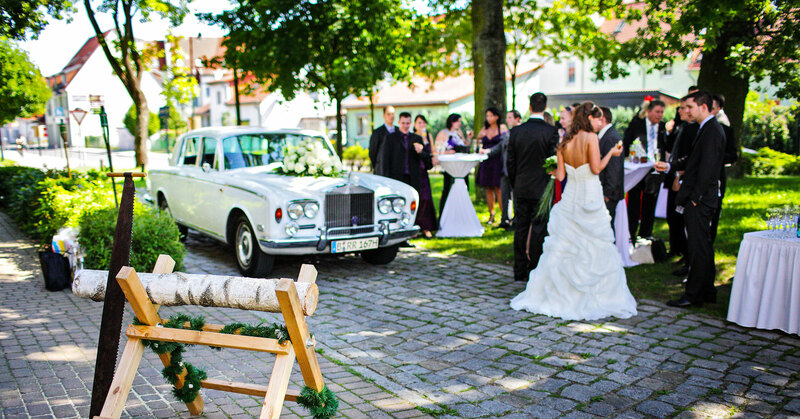 Weddings - Landgasthof "Zum Mühlenteich"
A competent and dedicated team will arrange your dream wedding for you. Our house is known in many circles for organizing “intoxicating” wedding celebrations for every wish and requirement. Whether a festive bridal hairstyle, the appropriate make-up, loving care of the children, or the perfect place to capture the memories of the most beautiful day; from the impressive decoration of the premises to the most diverse artistic performances, we are happy to help you down to the smallest detail – so that you have the head free, for the most important day of your life. It takes a lot to make the wedding day an unforgettable experience: intensive preparation for this moment and an environment appropriate to this event. Enjoy your wedding day from the beginning to the end and beyond. You can find more information in our wedding folder here. We are happy to advise you on the individual design of your wedding celebration in a personal conversation.